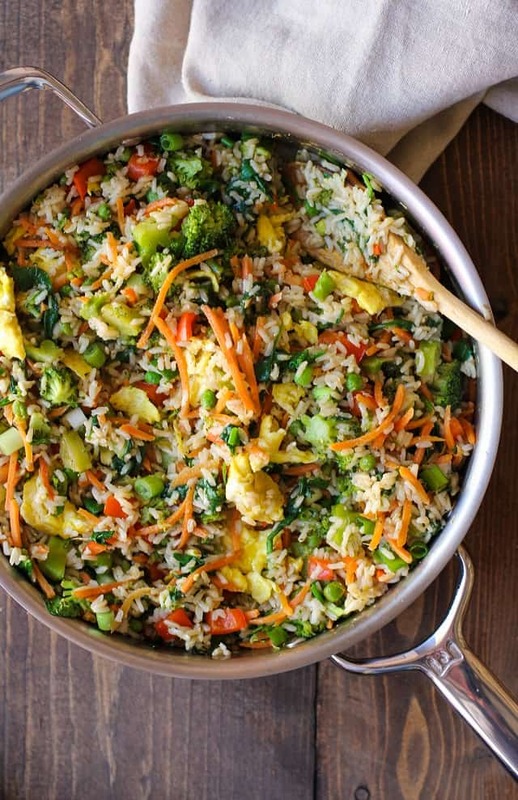 An easy, quick meal like Fried Rice, is the most requested recipe at home. 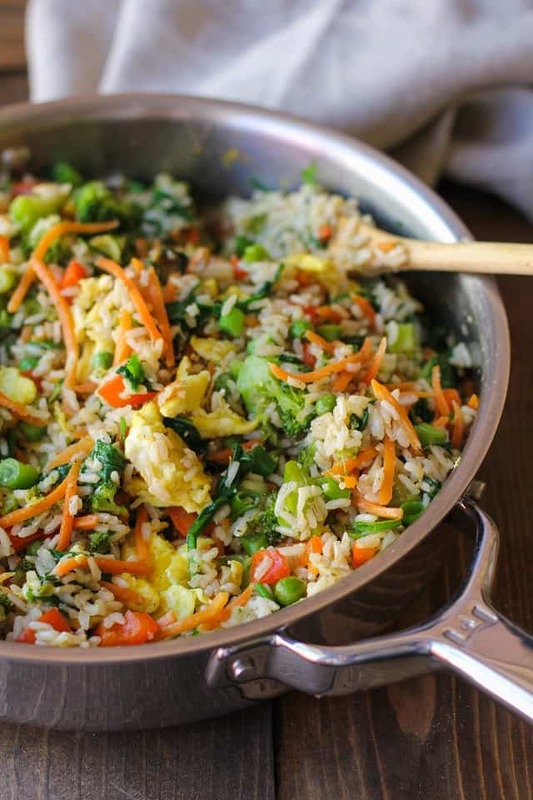 Aside from its easy procedure, it has healthy ingredients, especially this Vegetable Fried Rice. Every time I see leftover rice, my brain says “its time for fried rice again”! Indeed. Since we don’t have leftover rice right now, I use freshly cooked rice. This recipe is a Chinese style fried rice. But as you notice, I added a bunch of vegetables. So if you have tons of veggies hanging out in your fridge, this recipe is the best way for cleaning it out. There are too many versions of fried rice recipe, and I can’t wait to share mine here. For this Vegetable Fried Rice, I used chopped, shredded, and grated mixed vegetables and egg. In choosing Rice– choose medium to long grains, that will produce fluffy, firm grains. Day-old leftover rice surely is firm so if you have it on hand better to use it. You can also use Chilled Cooked Rice cause it is easier to separate and diminish the chance for fried rice to become sloppy. Since this is fiery hot work, put enough amount of oil to avoid the ingredients from sticking the skillet. Remember not to overdo the liquid seasoning like soy sauce to cause the fried rice to become gooey. Most kids love fried rice. So, this recipe is a great way to clear their bowl. And you know what? 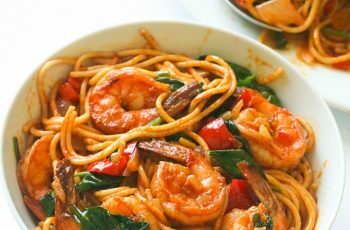 I’m determined that this recipe is better than takeaways or eating out. 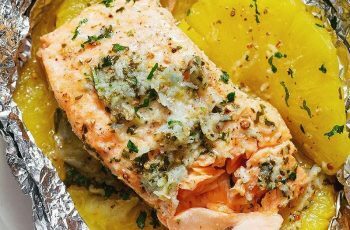 Instead of buying outside, try this simple but yummy recipe. While rice is cooking, saute the vegetables. Add olive oil to the large skillet, wok, or saucepan and heat to medium-high. Add the broccoli and bell pepper and cook 3 minutes, stirring occasionally. Add 3 to 4 tablespoons of water, cover, and continue cooking until broccoli is bright green and veggies have begun softening, about 3 to 5 minutes.